Memorial services are scheduled for 10 a.m. Friday, Aug. 10, at Anderson Bethany Funeral Home in Roswell for Crystal Marie Martinez. 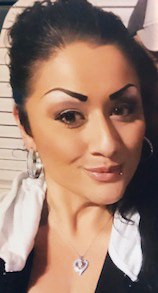 Martinez, 33, passed away Friday, Aug. 3, 2018, at her home. Visitation will be held from 10 a.m. – 7 p.m. Thursday at Anderson Bethany Funeral Home. Crystal was born Dec. 27, 1984, in Roswell to Johnny Garcia and Theresa Prudencio. On June 18, 2007, she married Carlos C. Martinez in Roswell. The couple resided at their home in Artesia. Crystal was a stay-at-home wife and stepmother. Survivors include her father, Johnny Garcia; her mother, Theresa Prudencio; brother Johnny Ray Garcia; husband Carlos C. Martinez of Artesia; stepson Jordan Lara and husband Cruz; daughters Ashley Martinez and husband Dillon McLaughlin, and Danielle Martinez; beautiful granddaughters Alicia Grace and Adilyn Faith; and nephew Adam Lucero. She was preceded in death by her grandmother, Erminia Garcia. Arrangements are under the direction of Anderson Bethany Funeral Home. Condolences may be expressed online at andersonbethany.com.